Mark Anthony Salazar Killed in Las Vegas Apartment Shooting. Justice Available to Family? Gunfire reportedly erupted outside a central Las Vegas apartment complex Friday night, April 20, 2018, claiming the life of Mark Anthony Salazar. 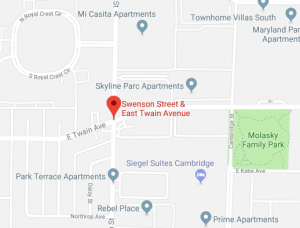 According to the Las Vegas Sun, the fatal shooting occurred in an alley outside the “San Tropez Apartments, near Twain Avenue and Swenson Street,” shortly before 9:30 p.m. Detectives allegedly used surveillance footage to “unravel misinformation” provided by the property manager. Police have since made an arrest, per Las Vegas Review-Journal reports. The San Tropez apartment complex was apparently the subject of a homicide investigation in August 2017, per News 3 reports. Did negligent security contribute to this Las Vegas apartment shooting? We represent individuals and families who have suffered a tragic loss or injury as a consequence of negligent property security. 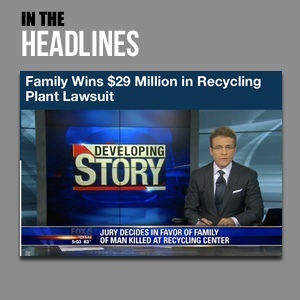 Read Our Legal Take below to find out if Mr. Salazar’s family may have a legal avenue for justice and claims for substantial compensation in Nevada, or call now for a free consultation with our legal team: 888.842.1616. Media reports indicate the property manager allegedly provided “misinformation” to police. What employee screening measures and background checks were in place at the time of her hire? Police reportedly used surveillance footage in their investigation. Who was monitoring these cameras at the time of the shooting? Generally, property owners are required to protect all those legally on the premises from any foreseeable harm. Should the facts of this matter reveal that the apartment owner or management failed to provide adequate security to protect those on its premises, the family of Mark Anthony Salazar may seek justice and elect to pursue legal claims for their loss.